Situated on a river, this spa hotel is 1.3 mi (2.1 km) from Koosalli Falls and 5.4 mi (8.8 km) from Shiruru Beach. Sri Mookambika Temple and Kotilingeshwar Temple are also within 32 mi (52 km). A full-service spa, a restaurant, and an outdoor pool are available at this hotel. Buffet breakfast is free. Additionally, a fitness center, a children's pool, and dry cleaning are onsite. All 15 rooms offer balconies, minibars, and flat-screen TVs with cable channels. Room service, coffee makers, and free bottled water are among the other amenities available to guests. In addition to a full-service spa, Wild Woods Spa & Resort features an outdoor pool and a fitness center. The hotel offers a restaurant. A complimentary breakfast is offered each morning. This Bhatkal hotel also offers a children's pool, a garden, and complimentary newspapers in the lobby. Wild Woods Spa & Resort has designated areas for smoking. 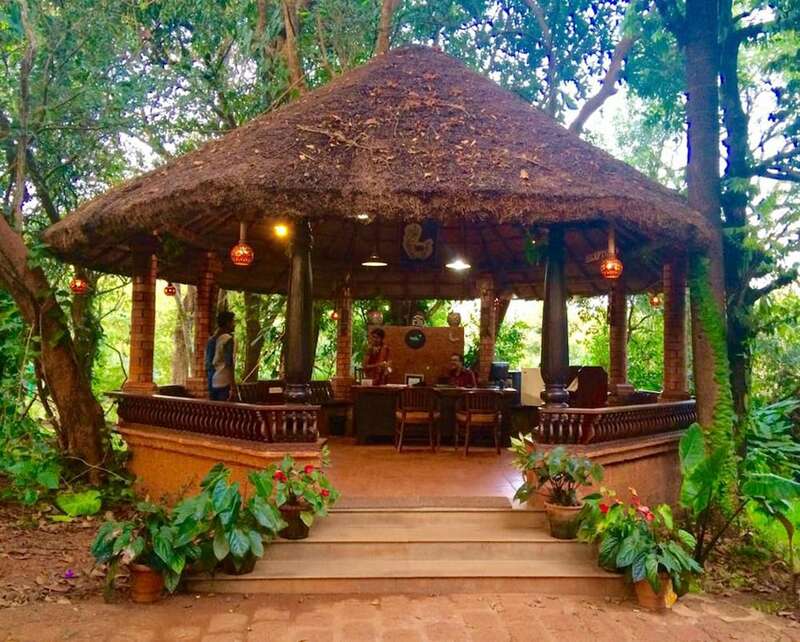 Onsite venue - Overlooking the garden, this restaurant specializes in local cuisine and serves breakfast, lunch, and dinner. Start your morning with a free buffet breakfast, available each day of your stay. You can order up room service during limited hours. Guests can indulge in a pampering treatment at the hotel's full-service spa, Wild Woods Spa. Services include Thai massages, body scrubs, and body treatments. A variety of treatment therapies are provided, including aromatherapy and Ayurvedic. Rollaway/extra beds are available for INR 2500 per night. Cribs (infant beds) are available for INR 2500 per stay. This property offers transfers from the train station (surcharges may apply). Guests must contact the property with arrival details 72 hours prior to arrival, using the contact information on the booking confirmation. Pool access available from 7 AM to 6 PM.Only registered guests are allowed in the guestrooms. No pets and no service animals are allowed at this property.